Myanmar is currently facing high demand in agriculture and technology which has the potential to create significant positive impacts for job creation and poverty alleviation. The Chin state where I belong to is one of the poorest states in Myanmar. However, it has great topography for quality coffee cultivation and the local community has good experiences in agriculture and animal husbandry practices. The best specialty coffee in Myanmar is available in Chin Hills and it has been approved by coffee experts. Great coffee is needed to grow at high sea level and good precipitation. Interestingly, commercialised production can be implemented in Chin state with the strategic plan, systematic approach and modern cultivation techniques – agroforestry-integrated farming system. As for the marketing opportunity the coffee drinking culture in Asia, Pacific are rapidly increased, China and India are now started consuming. Local market in Myanmar is also increasing for instant and good quality coffee. 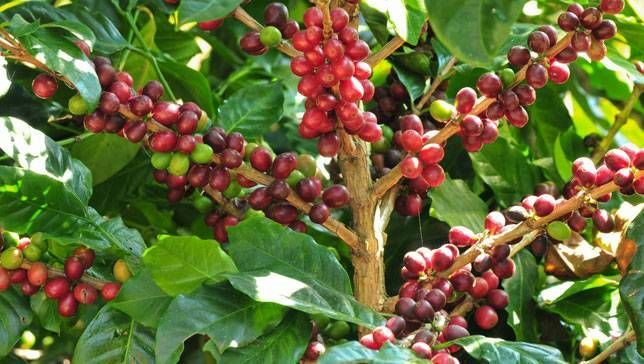 Coffee farming will be one of the long-term asset creations for passive income. This agroforestry-integrated farming model can attract eco-tourism and agro-tourism business as well. The role of agroforestry-integrated farming in sustainable land use system cannot be overemphasised. These practices offer practical ways of applying various specialised knowledge and skills to the development of rural production systems. It evolves a synergy among agricultural production, animal husbandry and forestry that is beneficial for increasing food production, sustainable wood production and improvement of the quality of the soil and economics. This is a win-win business model to promote the livelihood of local communities as well as protection from deforestation.